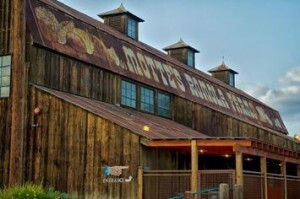 Spend the day learning about the history of the Perris Valley at the Motte Historical Museum. Founded by the Motte family, one of the oldest pioneering families in the area, the museum commemorates the local history showcasing the early pioneer families who settled there and the area’s agricultural roots. The Motte family’s antique car collection is also on display. Just a short drive from the new homes in Menifee at Audie Murphy Ranch, residents can enjoy a tour while learning about the local history. A bright future and great education awaits students living at Audie Murphy Ranch. Residents have access to impressive public schools within the Menifee Union School District that boast high API scores above 800. With the 2015 – 2016 school year approaching, it’s time for students to stock up on school supplies. Whether residents have children starting preschool or heading off to high school, Real Simple has a back-to-school checklist to help students get ready for the new academic year.